Where does our callous disregard for the dignity of human life end? “I remember holding him in my hands and thinking, God, what am I doing? … It’s really hard knowing that you’ll be the only one who is ever going to hold that baby.” It is difficult to listen to Holly O’Donnell describe what happened as she took part in the dissection of a fetus delivered in a Planned Parenthood facility. The heartbreaking interview is part of the seventh video in the exposé of the nation’s largest abortion provider by the Center for Medical Progress (CMP). While only 10 minutes, 37 seconds long, it is the probably the most difficult to watch of all the videos. “If even a fraction of what the videos have revealed about Planned Parenthood is true, whether laws were broken is not the issue. The former employee of StemExpress (a company that supplies human blood, tissue and other body parts to biomedical researchers) relates the experience she had with a co-worker at the abortion clinic in San Jose, Calif.
O’Donnell then describes how she is instructed to remove the brain from this child — while the heart is still beating. This video, together with the others released by CMP, has placed Planned Parenthood under a harsh light. Pro-life groups maintain that the videos prove that the women’s health care organization has been illegally harvesting and selling fetal organs. Planned Parenthood staunchly maintains it has done nothing wrong. By the letter of the law, that may well be true. But if even a fraction of what the videos have revealed about Planned Parenthood is true, whether laws were broken is not the issue. It is the cold, indifferent inhumanity of the organization’s procedures and actions that are so offensive: Planned Parenthood appears to be as morally bankrupt as an organization dealing with human life could possibly be. The idea of cutting up and selling baby parts is disturbing enough — but to watch the grisly business arrangements being lightly discussed over a glass of wine and a salad is stunning. The detached indifference of several Planned Parenthood staff members when discussing best practices to deliver an intact fetus or when talking about the going prices of infant parts is stunning in its disregard for human life. The Center for Medical Progress, a California-based group of citizen journalists dedicated to monitoring medical ethics and protecting human dignity for all, began its Human Capital project nearly three years ago. The videos are the result of hundreds of hours of research, undercover footage and eyewitness testimony. From the first video to the eighth, the obvious lack of compassion felt by Planned Parenthood for these unborn children is troubling. Our culture seems to give more attention and show more humanity to animals than to the unborn. To date, CMP’s videos seem to have generated far less national outrage than did the death of Cecil the lion last month. While many commentators railed against the murder of the African lion, much of the mainstream, left-leaning media has apparently chosen to ignore a video that discusses the killing of a live human fetus with a beating heart — something that could possibly be considered a homicide in many states. Josh Earnest, President Obama’s spokesman, told reporters a couple of weeks ago that no one at the White House had bothered to watch the videos. And apparently the complicit silence is paying off. According to Ian Tuttle in National Review, 68 percent of Americans say they have heard nothing about the Planned Parenthood videos. That much of the mainstream media has long played defense for pro-abortion groups is nothing new, of course. Annual coverage of the 42-year-old March for Life in Washington has been incredibly underwhelming for years. Rarely does the media show footage of or mention the hundreds of thousands of pro-life supporters of all ages — some old, but mostly young teens and adults — who converge on Washington every Jan. 22 to protest the 1973 Roe v. Wade decision — and remember the nearly 58 million lives lost to abortion. The book of Genesis tells us that God created humans in His image. Most Christians are taught that life is a precious gift from God and, as such, only He has the right to determine when it shall end. Today’s more humanist-centered society may choose not to believe that — but where does our callous disregard for the dignity of human life end? Hopefully, the average person still believes that intentionally taking an unborn life for the purpose of harvesting and selling its body parts is, quite simply, evil. If we don’t believe that, how are we any different from the monstrous doctors of the Holocaust? What have we become? The Calvert Province (Virginia, DC, Delaware, PA, MD) now has preliminary information concerning our participation for the World Meeting of Families in Philadelphia and the Papal Mass in Philadelphia. Information on the Papal Mass at the Basilica in Washington, DC is not finalized and will be distributed as soon as possible. Additional information will be forthcoming about how the requirements will be allocated. For the Philadelphia events, preferences will be given to the local assemblies. Information concerning muster times, locations, travel and parking are also being developed. Please complete the information, indicating the events for which you would like to volunteer ASAP. For the World Meeting of Families meeting at the Philadelphia Convention Center, we will provide honor guards for four masses. On Tuesday, Sept. 22 we require 60 members in regalia processing for the opening Mass at 4:00 PM. On Wednesday, 23rd, Thursday, 24th, and Friday 25th, we will require 30 members in regalia processing for daily Mass to be held at 8 or 8:30 AM, Mass time not definite, in the convention center. On Sunday, Sept. 27th. Mass with the Holy Father. Reporting time is 8:00 AM. We will require 300 volunteers to serve as ushers and to man communion stations in the VIP section. These individuals will have one of the best locations to serve. These volunteers must be dressed in dark suit and will be provided with a K of C sash to wear. These volunteers can bring their wife and adult children over 18 to volunteer with them. They must dress appropriately as well. No regalia will be used at this Mass. 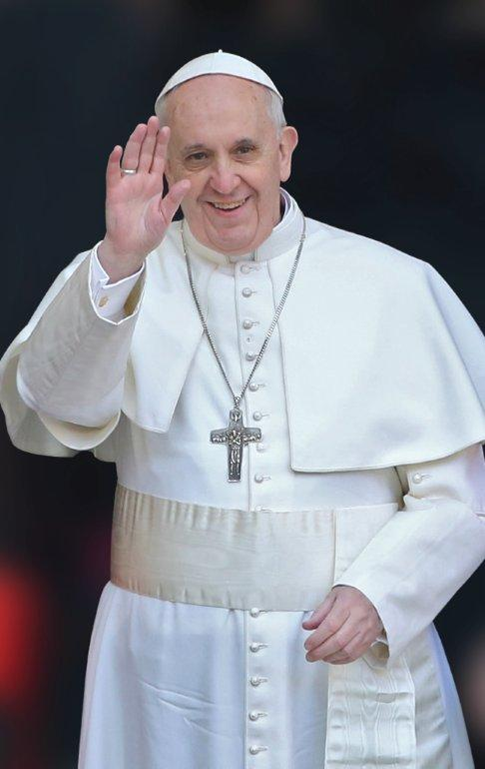 Please remind our members that we are serving the Holy Father so we need to look sharp and professional. We need to present a positive image of the Order for these events. No members in wheel chairs, no canes or walkers, no Santa Claus beards. Strict use of the Color Corps Drill Manual guidelines for uniforms. All members shall wear the PG-113 official Fourth Degree pin. No flag pins are to be worn. Complete guidelines are in the Color Corps Drill Manual and in the Assembly Handbook provided to all navigators at the June organizational meeting. I will need the following information from you to participate. You may email me CONFIDENTIALLY or call me at the tel. number below. Cape Color 9/23 Mass 9/24 Mass 9/25 Mass 9/27 Papal Mass Birth Date SSN Thanks. 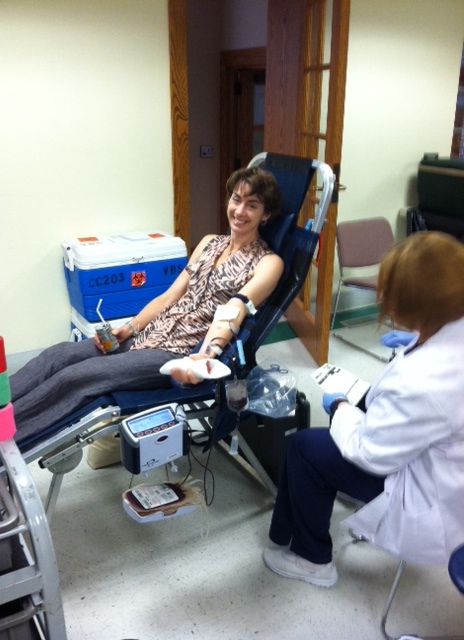 We just completed our late-summer Blood Drive at St Bridget. We had 13 generous donors, but these numbers are down from participation of the past. End of summer is a tough time of year with travel, vacations and a return to school, but we do greatly appreciate all the support from our Council and Church. This is such a huge gift, one that cannot be overvalued, and is truly the “gift of Life”! On September 10th at Noon I will be meeting with Christine Homan, parishioner and Account Manager for VBS, for a lunch meeting at O’Charlies – the corner of Horsepen and Broad Streets. We are looking for ideas and suggestions to improve turnout at future events. Your input will be valued, and your interest in participating to help us even greater. If you cannot make it to the meeting on 9/10, we would still like to hear from you with any suggestions that we may implement to increase turnout. I’ve been coordinating this for the last year or so for the Knights and appreciate any ideas or support you are willing to provide. Please contact me at your convenience – at this email or on my cell phone. Please Remember to Sign up for you donation this Sunday. Walk-ins are welcome after each morning Mass. Congrats to Brother Rob Omberg for completing his second and third degree exemplifications last weekend, 22 August 2015! Please express your congrats to Rob when you see him! Please save the date and spread the word. Let’s prove that Richmond, VA stands for LIFE!!! When:Saturday, August 22, 9:00-11:00 a.m.
Saturday, August 22, 2015 9:00- 11:00 a.m.
I’m sure you’ve seen the undercover videos showing Planned Parenthood doctors callously discussing how to dismember aborted babies and sell their body parts for profit. But what can you DO about it? You can join me for the National Day of Protest against Planned Parenthood — taking place at the Planned Parenthood facility at 201 N. Hamilton Street Richmond, VA 23221. This protest will be one of OVER 150 events coast-to-coast in nearly every state on August 22, in cooperation with a coalition of more than 40 pro-life groups. This is going to be the largest national protest of Planned Parenthood this country has ever seen. You don’t want to miss it! Please come out on August 22, and bring your friends — especially those who haven’t been out on the front lines at an event like this before. We may never have a better opportunity to strip Planned Parenthood of their massive $500 million taxpayer subsidy and expose the truth about this corrupt organization. So mark your calendar and plan to come out for the #ProtestPP on Saturday August 22! During my annual report at our Supreme Convention this week, the delegates from every jurisdiction in our Order stood and held up an olive wood cross made in Bethlehem as a pledge of support for our brothers and sisters suffering persecution in the Middle East. Then, at our States Dinner, we heard stirring testimony from Archbishop Bashar Warda of Erbil, Iraq, and Archbishop Jean Clement Jeanbart of Aleppo, Syria. Rarely in the history of our Order have we heard such words, delivered by men who daily risk their lives for the Faith. We have already donated more than $3 million to this cause, and, as an Order, we have pledged to redouble our efforts to do even more. Please visit www.ChristiansAtRisk.org and help support these brave men and women who have lost everything, simply for their belief in the One who taught us to love one another. In Iraq alone, the Christian population has fallen by at least two-thirds, from 1.5 million to less than 400,000. Many of these Christians have fled to the city of Erbil. In Syria, almost 10 percent of the population is Christian. There, too, violence against Christians has caused a refugee crisis. Thousands have fled for their lives to escape forced conversion and martyrdom. The world remains largely silent. These refugees’ cries for help remain largely unheard. … But neither the United States government nor the United Nations are doing enough. The blood of these martyrs cries out to heaven for justice. And the blood of these martyrs cries out to you and to me for help. Through our Knights of Columbus Christian Refugee Relief Fund, we have already delivered more than $3 million to assist our brothers and sisters in Iraq and Syria. Our dollars provide housing and medical care, but we can and must continue to do more. The Holy Father has also expressed his support for this initiative. The papal greeting to our convention, read Tuesday, was clear. It also expressed the pope’s gratitude “for the practical solidarity shown to suffering individuals and families through the recently established Christian Refugee Relief Fund.” And the pope asked the Knights and Catholics throughout the world to pray for “a conversion of hearts, an end to fanatical violence and intolerance, and a general recognition of those fundamental human rights which are not granted by the state, but from the hand of the Creator, whom all believers invoke as a God of peace.” The letter expressing the pope’s sentiments was signed by Vatican Secretary of State Cardinal Pietro Parolin. So once again, I ask for your renewed support for these brave, persecuted Christians. Please visit www.ChristiansAtRisk.org to learn more about what is happening there, to help us bring attention to their cause, and to help us support these Christian refugees financially. Every penny of your donation directly supports humanitarian assistance and raising awareness for persecuted Christians and other religious minorities, especially in the Middle East. We are due to distribute food bags again this weekend. The food pantry always struggles in the summer, so please plan to help after the Mass you attend this weekend. I will be out of town this weekend until the 5 pm Mass on Sunday. I will cover that Mass. Whoever covers 5:30 pm on Saturday,the stacks of bags with labels should be in the back hall left closet. Please try to leave sufficient bags out for the next Mass after the one you are working.